easy to load and unload cargo. assembly workshop & distribute center. It’s can be used as single bay or multi bay join together. 1. Post pitch is 50mm, the spacing between each level can be adjustable. 2. The recommend spacing is cargo height + 200mm. 3. 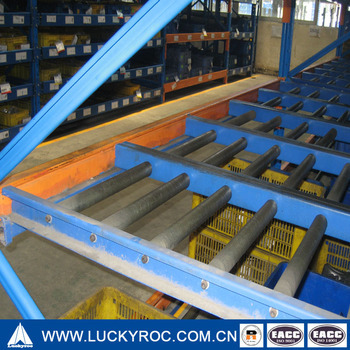 The length of plastic roller is determined by length and quantity of box required. 4. Plastic roller have a angle of 5 degree. 5. It work according to first in last out principle. 6. 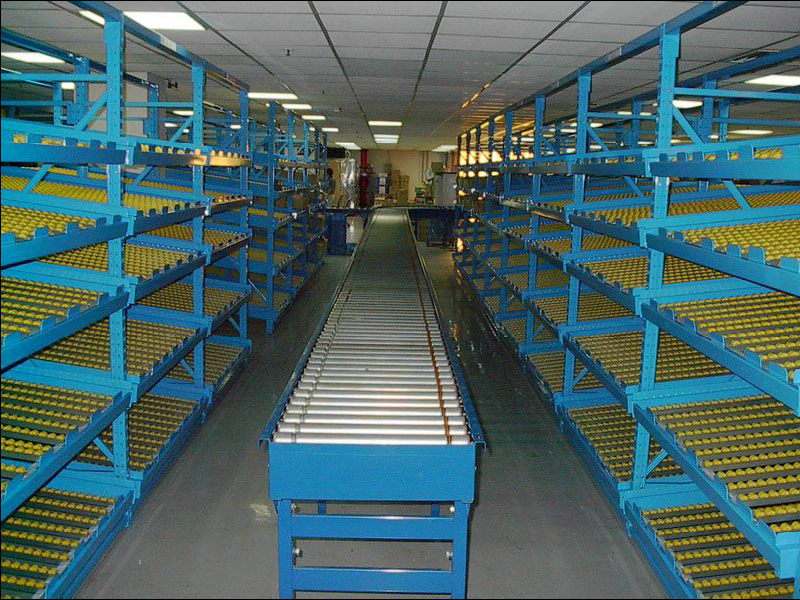 Size and capacity of flow through racking can be customized. 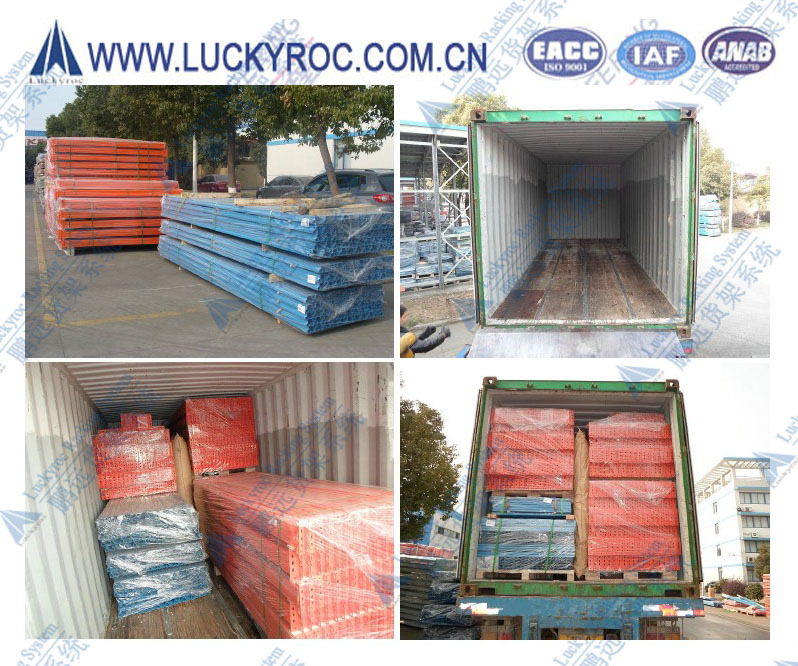 Xiamen Luckyroc is a professional logistics engineering company specializing in the development, improvement, manufacturing, sale, installation and commission of storage and logistics equipment. 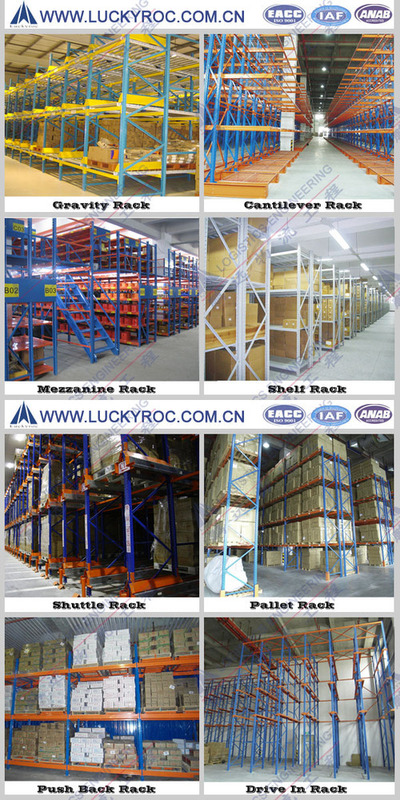 We are one of the most professional manufacturer of warehouse racks in China for more than 15 years. It has set up owned modernize manufacturing factory with many advanced rolling line and automatic powder coating line. 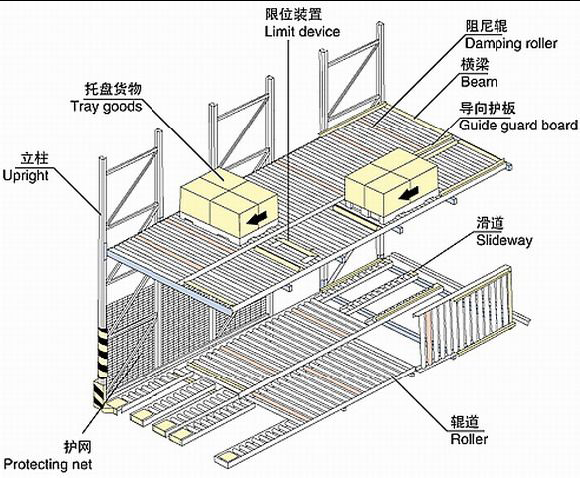 Our customers include distribution centers, manufacturing facilities, large-scale retail and home improvement outlets, industrial warehouses and assembly operations.Our products including flow racking have passed ISO9001 Certificate. Warmly welcome to contact us for details. Thank you!